It is the most wonderful time of the year! Tis' the season when breweries are buzzing and bottling those dark and delicious stouts that many of us crave. And this International Stout Day did not disappoint. 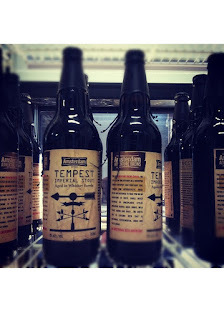 Amsterdam has announced that their Tempest Imperial Stout is now available at their retail store. It will also be available at LCBO stores soon! Be sure to get some of this award winning beer!